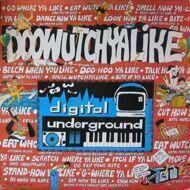 Released in the summer of 1989, this was the first single for Digital Underground on a major label. It got some airplay and the video was popular on MTV, but the band's breakout single was their next release: "The Humpty Dance." In June, 1990, a remix was released, going to #59 in the UK.